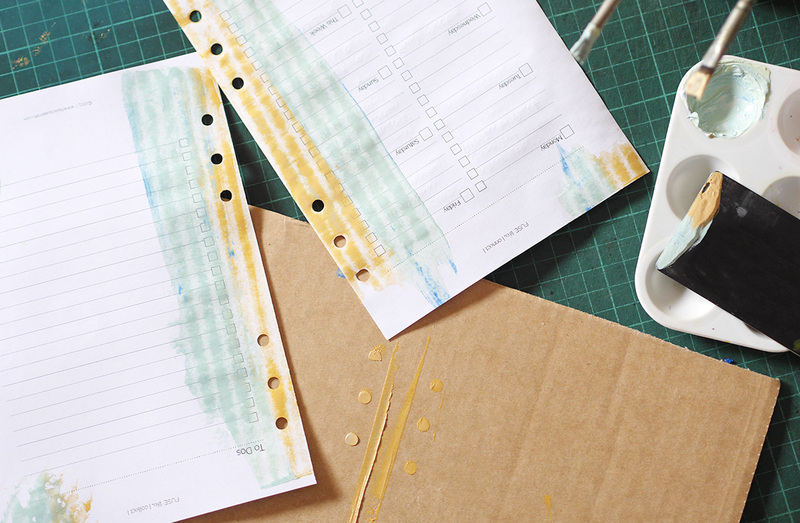 Today we’re taking a look at how easy it is to paint planner pages so you can enjoy some crafty goodness everyday! Swiping a spread of colour across planners pages is super simple + a great way to add some colour to your day. How inspiring is it to work with a planner that’s oozing with delicious creative inspiration?! Let’s dive in + find out how. Wouldn’t it be amazing to have as much time as we wanted each day getting crafty with paints + washi?! I have a secret to share with you so you can enjoy some crafty goodness everyday! and it’s called batching. Batching simply means that you prepare a bunch of pages ahead of time. I paint enough pages for the month for both my planners. # Tip : This year I’m using my monthly gratitude theme in both my daily planner + memory planner. Knowing what colours + supplies I’m using for the month makes it easier + more enjoyable. You can see the monthly themes here. With your newspaper down + supplies out ready, use a paint brush to put a little paint on the side of your card from your tray of colours or you can squirt some straight from the tube. You can test different amounts to see what kind of paint coverage you prefer. I enjoy mixing colours to match my stickers + washi tape. 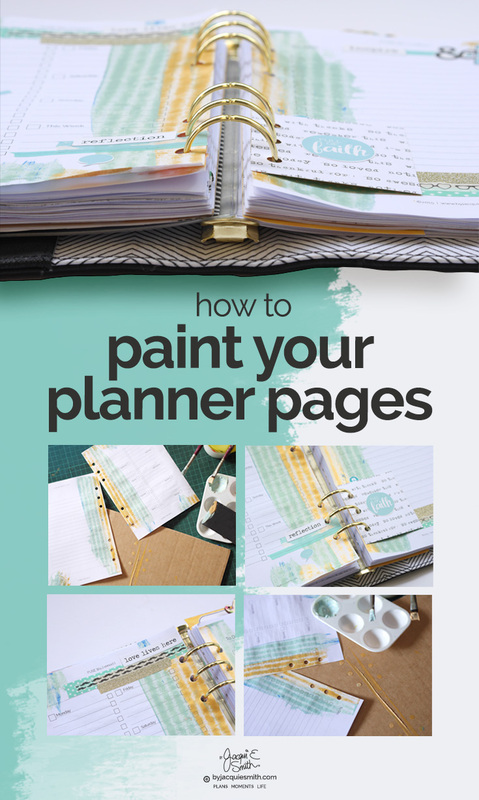 Position your card on an angle at the edge of your planner page + swipe the card across your page like a paintbrush. # Tip : Paint one colour at a time to build depth, drying between each swipe, or load your card with a few colours to create a blend at once. My example is made using a few colours at once to create a blend. My go to colour is gold, for adding a bit of glam + sparkle! Leave your pages to dry, then turn them over + paint the reverse side. # Tip : To get a texture in your splashes of paint, use a piece of cardboard instead of newspaper underneath your planner pages. Now your ready to insert your painted planner pages into your binder + enjoy a little colour in your day! Share: What’s your favourite product for adding colour to your day?